You don't need a lot of equipment but you do need good form to run well. 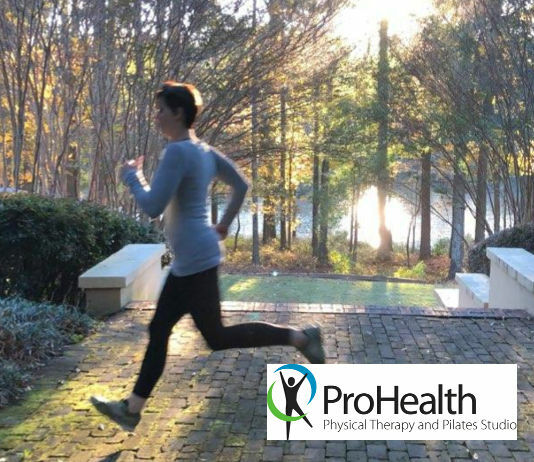 ProHealth Physical Therapy and Pilates Studio in Peachtree City begins Runity Classes in January for runners who want to reduce pain and improve forward momentum. Running is an activity many people pick up in the new year because it’s easy. You don’t need a lot of equipment – just get a good pair of shoes and off you go. 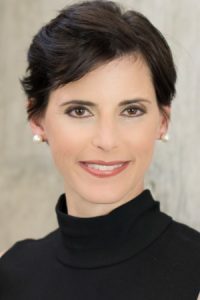 But folks determined to begin a new running regimen should commit to doing it correctly, says Dr. Karyn Staples, PT PHD, of ProHealth Physical Therapy and Pilates Studio in Peachtree City. To that end, starting on Jan. 2 ProHealth will offer a six-week Runity course designed to lay a good foundation for new runners, as well as improve efficiency for experienced runners. The ideal pace for running is 7.5 miles per hour, or about 180 steps per minute, says Staples. She trained personally with the professionals who established Runity, an international program based on years of research. The idea is to maximize the use of specific joints and muscles while limiting unnecessary stress and pressure through proper running technique. For example, Staples says, hip mobility means to move your hip ball and socket — the femoral acetabular joint — within the range that it has, and to improve it so the running sequence of jumping from one foot to another with forward progress has some efficiency to it. “In this class we’re looking at the mobility of the hips and the strength of the muscles around the hips so it’s not just that the hips can move, but that the muscles are strong enough to support it,” Staples explains. Another problem occurs when runners don’t land on their feet correctly, leading to longer ground contact time and more joint pressure, Staples says. With the ankles, the ideal is to land with your foot directly underneath you, rather than in front or behind. “People end up keeping their legs closer to the ground so they end up striking with their foot in front of them instead of the initial contact being underneath them,” she says. “It just adds to the amount of effort the body needs to move along. When runners land and their ankles don’t have good flexibility or are very stiff, it makes it hard for the energy to transfer from the ground through the body, Staples explains. Another aspect of Runity looks at how well the upper back moves, specifically the thoracic spine, Staples says. Staples recalls a female client named Maria, an experienced runner and working mother with three kids who began experiencing right lateral knee pain. Within just a few months after coming in for the initial consult, Maria was able to run a half marathon and finished better than she hoped. Runity is a six-week course with 55-minute sessions beginning at 7:30 a.m. each Wednesday through Feb. 6. Cost is $149 for the full six weeks. Gift certificates are available. Space is limited to 20, and spots are expected to fill up fast. “It will make you sweat. You will work hard. But there’s some fun and whimsy to it to allow for interaction with fellow classmates,” Staples says. ProHealth Physical Therapy and Pilates Studio is located at 1777 Georgian Park in Peachtree City. To register for the six-week Runity course that begins on January 2, call ProHealth at 770-487-1931. Or for more information about any of the ProHealth Pilates programs, visit prohealthga.com.